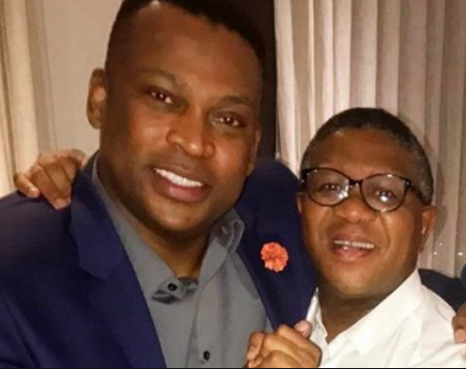 It all started when ANC's head of elections Fikile Mbalula accused sports personality Robert Marawa of promoting the EFF during the Soweto Derby. Marawa posted a short video on twitter from the Soweto soccer derby showing a helicopter flying over the FNB stadium carrying a sign reading "Vote EFF". Marawa tweeted "Air traffic controllers will await the arrival of the other parties!!". But Mbalula was not impressed, he responded on Twitter saying the ANC would not fly over the FNB, going further to accuse the sports personality of abusing his platform. The twar between these two set social media abuzz and caught the attention of EFF leader Julius Malema himself, who responded to fikile saying "Stop embarrassing yourself, and your immediate". This is not the first time these two have been involved in a twar, back in 2017, Robert and Mbalula argued over the country’s failure to host the 2022 Commonwealth Games. But we thought they burried the hatchet!